The Creative Chronicles brings you current info, tips and news! 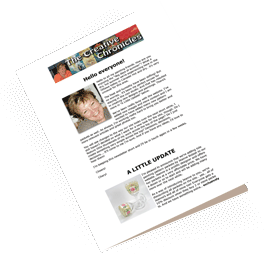 Welcome to the Creative Chronicles and the Decorative Painting Club. You’re just a step away from completing your FREE membership. And of course membership has lots of creative benefits. 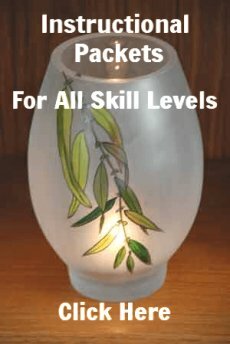 Like a FREE pattern packet!!!! We're always busy putting together new and exciting information related to decorative painting, other emerging art trends and all things artsy. And we deliver it to you in a short newsletter that comes out every couple of weeks called The Creative Chronicles. The articles are informative and lighthearted. You’ll find helpful hints and tips and good advice. And we tip you off when our affiliate vendors offer discounts on art supplies to help you save money. As a member of the Decorative Painting Club you’ll receive occasional discount coupons for packets from our site. Yes... free membership and discounted packets. Does it get any better? It's great to be a member of the YDPR family. 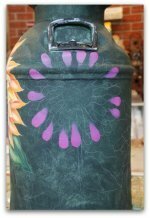 Whether you're a crafter who simply loves to dabble or you're a dedicated artful person, the Decorative Painting Club has something for you. Because time is precious and let’s face it, you'd rather be painting than reading; our newsletter is created to be easy and fun to read. Love getting your newsletter. Whenever you can find the time to write is fine with me. Enjoy the winter... we've only had 1 storm so far this year (Hulls Cove, ME) but keep hoping ! Thank you for your upbeat newsletter. I'm an experienced painter but am game for anything. You can always learn something new from everyone!!! Just a little note of thanks for an awesome newsletter. Thank you for all you do! Could we get more instruction on canvas painting? Thank you for inspiring me to get back into painting again. I just joined right before Christmas so I would love weekly newsletters. I'm excited for what comes next!! I really enjoy your newsletter and the one thing that I want to learn is how to turn my favorite hobby into an income earning hobby. Of course, skill building is high on my list as well, but this year I find that I am in need of income and I have always received positive feedback with my projects that I have finished, so I am interested in learning how to successfully branch out and sell my finished items. Keep those newsletters coming. I love them! They motivate me! Blessings! I love that we can email you and receive great painting help from you. I have painted in all mediums, done craft shows for ten years and now I paint on canvas and watercolor paper for my own enjoyment. I liked your download on evergreen trees it was very helpful. I read all of your newsletters and they are really helpful no matter what you do. I enjoy any info you send at any time! I love your emails. It is always so uplifting, positive and encouraging. I always know when I get mail from you and I am in a slump it will pull me out, to get creative and do something. If nothing else I smile!!!!!!!!!!!! Thank you for the time you commit to us. LOL I am so sorry I forgot to put my Country Canada!!!!!!!!!!!! I would love to know how to use specialty brushes, like the fan brush or the toe brush (I think that's what it's called.) As well the proper use of basic brushes that you are preparing. Thank you for your time and energy. You truly make a difference. I love your positive attitude it is felt. I am going to try and be more involved with you. I have been all over the place last year. Just started painting again last year, spring. My goal is to find what I really want to paint and do it. I don't know what you have in mind but I will try to participate. Your newsletters are always very informative and I appreciate the work you put into them. You do whatever works best for you! Thank you for sharing your knowledge! I really enjoy your newsletters! I've been thru a really rough period since early Sept, and they have helped me refocus on something I love - painting! God bless you for all you do and for all of us you have helped! Thank you!!! You are my inspiration to keep on going!!! Thoroughly enjoying your emails and looking forward to your classes. I enjoy these newsletters very much! Keep 'em coming. I get lots of creative ideas and tips from them, so thank you very much for sharing yourself with us! I really enjoy pictures of projects you are working on. I find the newsletters to be brief and to the point. Sometimes I just read your introduction and others the projects etc. You are a joy to read, even if I do not participate or buy things. I really enjoy your letters. They make me happy & get me going! I love your newsletters and your education materials. You've helped me so much! Thank you! You do a great job with your newsletter and instructions. I LOVE when you have free projects. THANK YOU!!! Thank you for all that you share. I enjoy hearing from you. 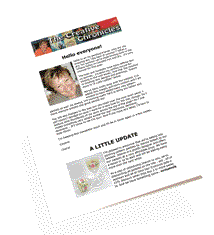 Most of your newsletters have at least a tidbit or two I can use. The newsletter is welcome any time. I enjoy your articles. 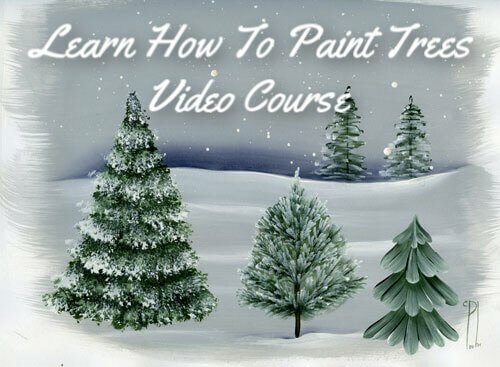 I have shared many as educational articles for our painting chapter. Thank you and keep them coming. I enjoy your emails! !...Thank you very much for all of your information on painting!! !...I love it!! Love all your ideas and work, only wish I were as talented as you. 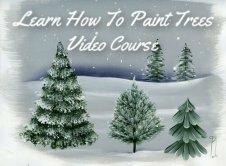 Want to learn more faux painting ideas. Always a pleasure to hear from you! I wish there was a place we could save the courses on or in. The tree one was good as I can refer back to it and do it at my timeline Even if it is 2 months as it is stored in iBooks. I especially enjoy painting with acrylics in a watercolor style. I would like to see some projects using this style. I do enjoy your weekly newsletters but sometimes I get behind in reading them and trying new projects. Very interesting newsletter. I really need to brush up on my beginner skills. The proper floating technique would be helpful as well. Thanks for trying to help us. I find your newsletter very helpful. Thank you. Keep up the great work. It is always interesting to see how other do things & I can always learn something new. Would like to see more Americana items to paint. Everyone likes these items as gifts even if their décor is not totally Americana themed. Thank you for the info that you do provide, Cheryl. It's nice to see how you collect questions and then pull the answers together. Thank you. When you get inspired, please pass along that inspiration to me, too. What I struggle with is BALANCING a painting so the focal point is key, not too much detail on one side of the canvas to detract the eye from the main subject matter. I do look forward to your emails Cheryl. 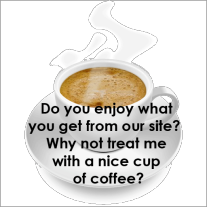 I think your site is wonderful. You are so creative. I am finally going to have the time to actually utilize your ideas. Thank you. I enjoy getting and reading your newsletters. Thank you for your helpful tips. I save them all. I like everything you send out. I'm a beginner so everything is exciting. Thanks, you make my day when I get an email. I appreciate your energizing and positive attitude. A sincere thanks for your efforts. I look forward to your Newsletters. I enjoy all you show us. I used to have my own Craft Shop and did all hand crafted items. I also taught a beginner's painting class. I love learning new techniques. Keep up the great work. Anxious to get started building my painting dkills. Thanks for your time and patience. I want to encourage you to visit the site often as I’m always making changes and adding new information. Your weekly Creative Chronicles and other email from me will keep you up to date on everything new and happening. I also love to encourage my friends (you) to submit articles or tips that can be shared with other visitors. Your experiences, good or bad or funny make for a much more interesting newsletter. Your submissions will be credited to you; so don’t forget to leave me your name when you decide to contact me. I just love getting your mail!!! Your feedback, positive or negative is always appreciated. I’m striving to make the site bigger and better all the time. By you writing in with questions it helps me to do more in- depth research and to try new ideas. I love coming up with solutions to your problems and challenges. Thank you very much for joining the YDPR family and becoming a friend of Your Decorative Painting Resource. I’m most grateful. I hope you’ll invite your creative friends to visit the site and that you’ll “like” us on Facebook too! 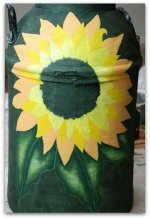 Let's go from The Creative Chronicles to our Decorative Painting Home Page.